The future of the oceans is beginning to look a lot like a mass extinction. Pollution, over-fishing, habitat destruction, climate change, over-exploitation, ocean acidification and many other threats are contributing to their silent collapse. But the good news is that we can all take action to fix this. I’ve been campaigning for ocean protection for the past 13 years. I discovered the wonders and beauty of our oceans whilst scuba diving in the Mediterranean where I also discovered the damages we are doing to our seas. 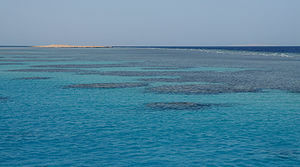 A few more dives and trips to the Red Sea later and that was it! I was addicted to spreading awareness of the plight of our oceans. My Ocean News is an online library of my favourite marine conservation news articles which highlight the good and the bad we are doing to our blue planet and the campaigns I support … Let’s all do our bit to help protect our oceans before it’s too late! Cool site! Just found you through the post of a friend on Twitter, and our organizations are similarly aligned as far as being focused on environmental conservation issues. We’re @GreenGlobalTrvl there and would love to connect for RT purposes. Always excited to meet new eco-activists! This is a wonderful and informative blog for education and awareness. 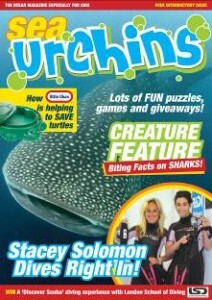 Thank you so very much for sharing the page “Saving the oceans for our children”, You rock Domino! keep up the amazing work you do. Great website! thanks for sharing this information and best wishes of success with this initiative! I will promote through my networks. Domino, Hello! Found you thru EA. Very interested in what you are doing. I had Santa Monica Bay Keepers and Heal the Bay in my classroom every year and am a PADI Divemaster. Love to connect further. Hi Lisa, I’m glad you find my blog of interest and great to hear you are a PADI Divemaster. Please visit projectaware.org to read more about what divers are doing around the world to protect our oceans. Let’s keep in touch! very cool indeed. well done! strong interest in marine issues, luv’d diving at Osprey Reef in GBR, I found you through EA ~ best wishes to you and your efforts! Dom, this is a great site. Hi i love your stuff so impressive! thank you a thousand times, Thank you! Earth is calling and it is always nice to hear an answer even though its a whisper if the world unites we can be loud!!!!! i have recently started a fb page http://www.facebook.com/nosharknets check it out and keep loving! Thanks for your kind words of support! I love your RASN Facebook page! Thank you for caring enough to take action in your local community to protect sharks! Great stuff!